Jan Hernych (born 7 July 1979) is a professional male tennis player from Czech Republic. 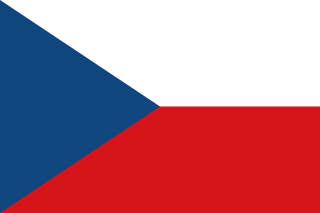 Born in Prague, he turned pro in 1998 and achieved his career-high singles ranking of World No. 59 in April 2009. He won one doubles title and was runner-up in 's-Hertogenbosch in 2006. In 2005, he was the first professional opponent of Andy Murray at the Torneo Godo, a match he won in three sets. 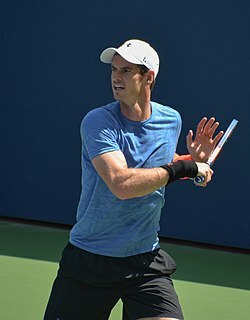 Sir Andrew Barron Murray is a British professional tennis player from Scotland, ranked No. 218 in men's singles as of 4 March 2019. 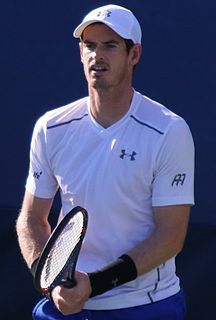 Murray represents Great Britain in his sporting activities and is a three-time Grand Slam tournament winner, two-time Olympic champion, Davis Cup champion, winner of the 2016 ATP World Tour Finals and former world No. 1. In 2006 he contested his first final on the tour, losing to Mario Ančić in s-Hertogenbosch, Netherlands. Mario Ančić is a Croatian former professional tennis player who currently works as an investment banker in New York City. He won three singles titles and five doubles titles. His career-high singles ranking came during the 2006 ATP Tour, when he reached world no. 7. Ančić helped Croatia to win the 2005 Davis Cup and at the Athens Olympic Games in 2004, he and Ivan Ljubičić won a bronze medal in doubles for Croatia. In May 2009 at the BMW Open in Munich, Germany, he joined forces with countryman Ivo Minář to win their first title together in doubles. Ivo Minář is a former professional male tennis player from the Czech Republic. On July 20, 2009, Minář reached his career-high singles ranking of World No. 62. His brother Jan is also a professional player, who has been ranked in the top 200 in the world. In January 2011 at the Australian Open, Hernych posted his best-ever showing in singles play at a Grand Slam event, reaching the 3rd round for the first time. As a qualifier, he defeated Denis Istomin and No. 30 seed Thomaz Bellucci before losing to Robin Söderling. The Grand Slam tournaments, also called majors, are the four most important annual tennis events. They offer the most ranking points, prize money, public and media attention, the greatest strength and size of field, and greater number of "best of" sets for men. The Grand Slam itinerary consists of the Australian Open in mid January, the French Open around late May through early June, Wimbledon in June-July, and the US Open in August-September. Each tournament is played over a two-week period. The Australian and United States tournaments are played on hard courts, the French on clay, and Wimbledon on grass. Wimbledon is the oldest, founded in 1877, followed by the US in 1881, the French in 1891, and the Australian in 1905. However, of these four, only Wimbledon was a major before 1924–25, when all four became designated Grand Slam tournaments. Skipping majors—especially the Australian Open because of the remoteness, the inconvenient dates and the low prize money—was not unusual before 1982. Denis Olegovich Istomin is an Uzbek professional tennis player of Russian descent. He has won two singles titles and achieved a career-high singles ranking of world No. 33 in August 2012. In January 2017, he defeated defending champion Novak Djokovic in the second round of the Australian Open. The Davis Cup is the premier international team event in men's tennis. It is run by the International Tennis Federation (ITF) and is contested annually between teams from competing countries in a knock-out format. It is described by the organisers as the "World Cup of Tennis", and the winners are referred to as the World Champion team. The competition began in 1900 as a challenge between Great Britain and the United States. By 2016, 135 nations entered teams into the competition. The most successful countries over the history of the tournament are the United States and Australia. The present champions are Croatia, who beat France to win their second title in 2018. Luis Horna Biscari is a former tour professional tennis player from Peru, who turned professional in 1998. Known by his nickname "Lucho", he won his 2 career singles titles, reached the quarterfinals of the 2004 Madrid Masters and achieved a career-high singles ranking of World No. 33 in August 2004. Michael Jeremy Bates, commonly known as Jeremy Bates is a British former professional tennis player. He was ranked UK number 1 in 1987 and again from 1989 to 1994. He reached a career-high ATP world ranking of 54 from 17 April 1995 to 23 April 1995. Rogier Wassen is a Dutch tennis player who competed regularly on the ATP Tour as a doubles player from 1994 to 2011. Nicolas Pierre Armand Mahut is a French professional tennis player. In singles, he reached a career-high Association of Tennis Professionals (ATP) ranking of world No. 37 on 5 May 2014. In doubles, he reached a career-high ATP ranking of world No. 1 on 6 June 2016. Mahut is well known for being skilled on grass, on which he has won the third-most number of titles amongst active players in singles behind Roger Federer (17) and Andy Murray (8) and tying with Rafael Nadal and Novak Djokovic (4); he also has the most singles titles on grass won over the age of 30 amongst active players, tying with Federer (4). He is a distinguished doubles player, having completed the Career Grand Slam at the 2019 Australian Open, following victories at the 2015 US Open, 2016 Wimbledon Championships and 2018 French Open partnering Pierre-Hugues Herbert. Mahut was a part of the longest match in professional tennis history against John Isner in the first round of the 2010 Wimbledon Championships. Łukasz Kubot is a Polish professional tennis player. Kubot is a doubles specialist and won the 2014 Australian Open men's doubles title with Robert Lindstedt as well as the 2017 Wimbledon men's doubles title with Marcelo Melo. On January 8, 2018 he achieved a career-high doubles ranking of World No. 1. He has also had success in singles, achieving a career-high singles ranking of World No. 41 in April 2010 and reaching the quarterfinals of the 2013 Wimbledon Championships. In 2013 he was awarded the Gold Cross of Merit by Polish President Bronisław Komorowski. Sergio Andres Roitman, nicknamed 'Escopeta' is a retired professional tennis player from Argentina. The ATP Tour is the elite tour for professional tennis organised by the ATP. The ATP Tour includes the four Grand Slam tournaments, the Tennis Masters Cup, the ATP Masters Series, the International Series Gold and the International Series tournaments. The ATP Tour is the elite tour for professional tennis organized by the Association of Tennis Professionals. The ATP Tour includes the four Grand Slam tournaments, the Tennis Masters Cup, the ATP Masters Series, the International Series Gold and the International Series tournaments. Flavio Cipolla is a professional tennis player on the ATP Tour from Italy. He reached the second round at the French Open of 2007, where he lost to Rafael Nadal. He reached the 3rd round of the 2008 US Open. His career high rank is No. 70, achieved on 23 April 2012. Tobias Kamke is a German professional tennis player. He reached his career-high singles ranking of world No. 64 in January 2011. The Association of Tennis Professionals (ATP) World Tour is the elite professional tennis circuit organised by the ATP. The 2009 ATP World Tour calendar comprises the Grand Slam tournaments, the ATP World Tour Masters 1000, the ATP World Tour 500 series, the ATP World Tour 250 series, the ATP World Team Championship, the Davis Cup, and the ATP World Tour Finals. Also included in the 2009 calendar is the Hopman Cup, which does not distribute ranking points, and is organised by the ITF. The ATP Tour is the elite tour for professional tennis organized by the ATP. The 2001 ATP Tour included the four Grand Slam tournaments, the Tennis Masters Cup, the Tennis Masters Series, the International Series Gold and the International Series. The 2009 BMW Open was a tennis tournament that was played on outdoor clay courts. It was the 94th edition of the BMW Open, and part of the ATP World Tour 250 series of the 2009 ATP World Tour. The men's events took place in Munich, Germany, from 2 May through 10 May 2009. Kevin Krawietz is a professional tennis player from Germany. He is a doubles specialist who reached his career-high doubles ranking of world No. 50 in February 2019. The 2012 ATP World Tour is the global elite professional tennis circuit organized by the Association of Tennis Professionals (ATP) for the 2012 tennis season. The 2012 ATP World Tour calendar comprises the Grand Slam tournaments, the ATP World Tour Masters 1000, the ATP World Tour 500 series, the ATP World Tour 250 series, the ATP World Team Championship, the Davis Cup, the ATP World Tour Finals, and the tennis event at the London Summer Olympic Games. Also included in the 2012 calendar is the Hopman Cup, which is organized by the ITF and does not distribute ranking points. The 2013 ATP World Tour was the global elite professional tennis circuit organized by the Association of Tennis Professionals (ATP) for the 2013 tennis season. The 2013 ATP World Tour calendar comprises the Grand Slam tournaments, the ATP World Tour Masters 1000, the ATP World Tour 500 series, the ATP World Tour 250 series, the Davis Cup and the ATP World Tour Finals. Also included in the 2013 calendar is the Hopman Cup, which was organized by the ITF and does not distribute ranking points. The 2016 ATP World Tour was the global elite professional tennis circuit organized by the Association of Tennis Professionals (ATP) for the 2016 tennis season. The 2016 ATP World Tour calendar comprised the Grand Slam tournaments, the ATP World Tour Masters 1000s, the ATP World Tour 500 series, the ATP World Tour 250 series, the Davis Cup, and the ATP World Tour Finals. Also included in the 2016 calendar were the tennis events at the Rio Summer Olympic Games and Hopman Cup, neither of which distributed ranking points. The 2017 ATP World Tour was the global elite men's professional tennis circuit organized by the Association of Tennis Professionals (ATP) for the 2017 tennis season. The 2017 ATP World Tour calendar comprised the Grand Slam tournaments, the ATP World Tour Masters 1000s, the ATP World Tour 500 series, the ATP World Tour 250 series, the Davis Cup, and the ATP Finals. Also included in the 2017 calendar are the Hopman Cup and the Next Gen ATP Finals, which do not distribute ranking points.